Dana is an active member of the local community, having deep roots and strong family ties in the Golden Isles. Born and raised here, she is committed to community service and feels that her real estate career is the perfect vehicle for her to continue that spirit of service as she assists people with their real estate needs. As a native, she has witnessed all the growth and evolution of our coastal community. She knows what it means to live and raise a family and develop lifelong relationships here as well. She has a deep understanding of what makes this area so truly unique and wonderful and loves sharing that with her clients every day. 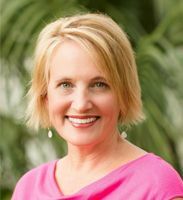 Dana has been a top real estate professional in the Golden Isles since 2004, all of those years alongside Bill Keim, her friend, colleague and mentor in the industry. The two of them decided to pool their talents and create the brokerage firm of their dreams – GardnerKeim Coastal Realty. Dana has served on and chaired numerous local Golden Isles Association of Realtors committees and is a Lifetime Member of the GIAR Circle of Excellence. "I have been very involved in this community where I've lived my entire life. Having grown up here, I have a wide network of friends and family. My work in the community has been vital to me and has become a large part of who I am. Serving others and helping people is what I do best. I hold myself to the highest standards and therefore offer my clients only the highest levels of customer service and professionalism to ensure their satisfaction. My goal is to help my clients reach their goals by guiding them through the transaction and helping them to make the decisions that are right for them. It's all about listening to the client and helping to satisfy my client's wants and needs."